This will benefit Bertram's family and aid them in getting to Washington D.C. for National Police Week. CLARK COUNTY, Ind. 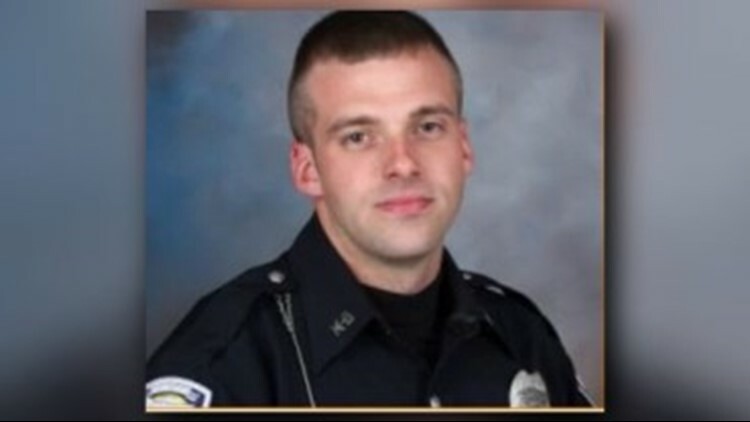 — (WHAS11) -- The Clark County Fraternal Order of Police, Lodge 181, is holding a fundraiser that will benefit the family of fallen Charlestown Police Department Sgt. Ben Bertram. The FOP is selling End of Watch memorial wristbands and t-shirts for Sgt. Bertram. The fundraiser benefits the efforts of Concerns of Police Survivors to send members of Bertram’s family to Washington D.C., in May, for National Police Week and also adding Bertram’s name to the National Law Enforcement Officers Memorial. If you would like to purchase a t-shirt or wristband, click here. Bertram, 33, died in a crash in December while chasing a suspect. His career at CPD started in 2008, as a reserve officer.